The New Jersey State Police Bordentown Station is seeking the public's assistance in locating missing juvenile Jada Johns. 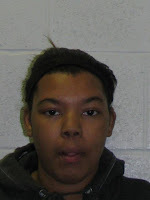 Jada Johns, 16, female, black, 5'5", 195 pounds with blonde medium length hair usually worn in a pony tail, was last seen on 07/21/2013 at a group home in Hainsesport, N.J.
She left in an unknown vehicle and may be in the Camden, N.J. area. Anyone with information is asked to contact the New Jersey State Police Bordentown Station at (609)298-1171.